"For those of you that were unable to attend or to hear, see, or read any of the answers from our first press conference in Latin America, I have something to share with you. "October 31, 1994 is the official release date of 'Youthanasia'. 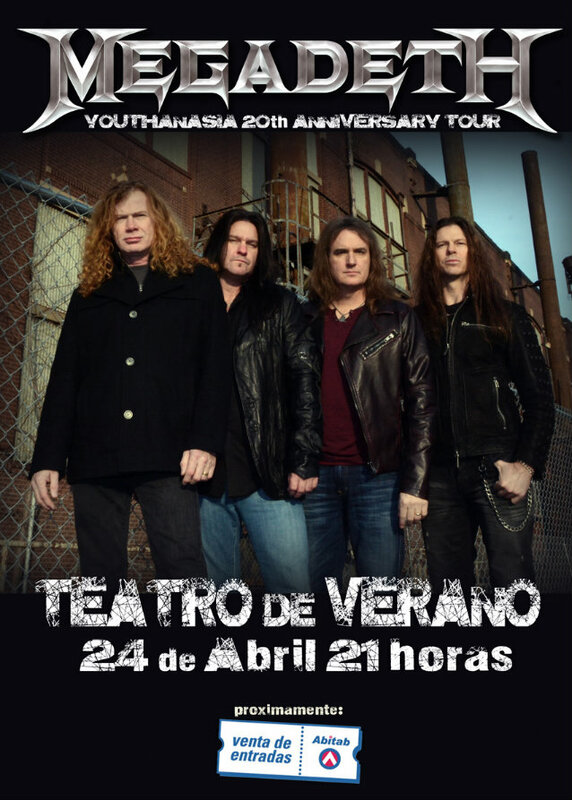 The rumor that we are doing a 20th-anniversary concert is a dreadful situation and as soon as I found out that this tour was presented to you, the fans — the brilliant MEGADETH fans around the world that know how to read a calendar and know it ain't 20 years until 20 years have gone by — as the 20th anniversary of 'Youthanasia', I told all of the interviews I did leading up to our arrival, that it was a terrible mistake and we have parted ways with the persons responsible. "Besides having to get everyone in the same place, we also had to develop the live production and the video content that goes along with it. So, to make a long story boring... we started with 'A Tout Le Monde' in Las Vegas, added 'Reckoning Day' in Tucson, and added 'Youthanasia' to Quito. "Depending on how long our stage time in Santiago is will determine our set list. You can count on if it is 75 minutes (which I think it is), we will make sure to play as much of the 'Youthanasia' songs as we can. Rest assured that we are aware of the rumor, we took action, and that whatever songs we play, that we will play our very best for you. "Please don't take this out on the promoters down here. We have explained this to them, and they have been very understanding, although I know we are all disappointed that this rumor even started, and it being too late to fix all the ads, I promise to give you all the best MEGADETH show to date this tour." Mustaine was a featured soloist on April 12 with the San Diego Symphony. The classical special concert, billed as "Symphony Interrupted", took place at the 2,200-capacity Copley Symphony Hall in San Diego, California. 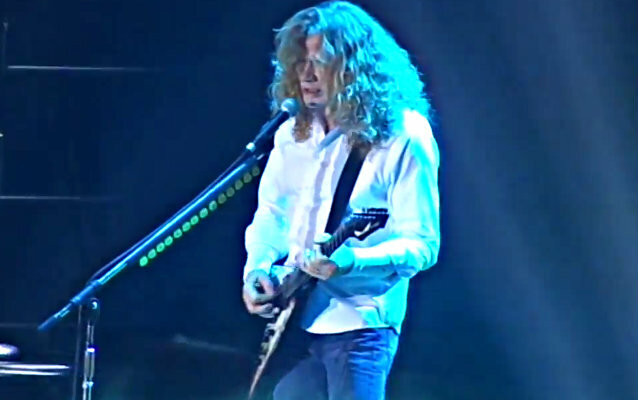 The event saw Mustaine perform Richard Wagner's "Ride Of The Valkyries" with the orchestra, as well as solos of Vivaldi's concertos from "The Four Seasons", plus Bach's classic "Air". MEGADETH's latest album, "Super Collider" has sold more than 80,000 copies in the United States since its June 4, 2013 release. The CD arrived in stores via Mustaine's new label, Tradecraft, distributed by Universal Music Enterprises (UMe).